Holper's Pest & Animal Solutions is your local animal, insect, and spider specialist. With over three decades of service in St. Louis, our customers know us as the pioneers and experts of St. Louis pest control. The Holper's experience is unlike any other, and once you discover our philosophy and difference you won't ever want to work with another St. Louis area exterminator. Holper's has a natural, non-invasive, and effective solution for all of your pest control problems. An anonymous loyal customer since 1990. Excellent service. Highly recommend this company. 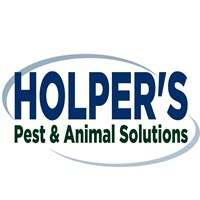 Holper's has been helping me with a variety of "pests" over the many years of doing business. THANK YOU for your friendly and professional service. Thank you for your kind words about Holper's and your technician, Paul. Thank you for being a loyal customer for many years. We look forward to servicing your home and yard and keeping it pest free in the future! We have had great service from Holper's - they helped us keep the mice OUT and all other pesky crawling insects under control! This year we are also having the yard sprayed to keep mosquitos at bay. Hoping that will be successful! The Holper's staff are always pleasant, efficient and capable. The office staff are quite accommodating when setting up our appointments. We appreciate your work to help keep our living environment 'critter free'. Thank You! Great service as usual. Dan always a good job. Will see him again in three month So! YOUR TECHN LOOKED OVER MY SITUATION CONCERNING THE PROBLEM, AND OFFERED SEVERAL SUGGESTIONS AS TO HOW TO ATTEMPT TO ELIMINATE THE BIRD PROBLEM UNDER THE AWNING ON OUR DECK. HIS SUGESTIONS WERE WELL TAKEN, HOWEVER IT IS A RETRACTABLE ELECTRIC AWNING, AND IT WOULD BE DIFFICULT TO GET ANYTHING BEHIND THE SPOT WHERE THE BIRDS GET IN. SINCE NO NESTS WERE FOUND, AT AGE 81 I HAVE DECIDED NOT TO DO ANYTHING AT THIS TIME. HE WAS COURTEOUS, AND KNOWLEGIBLE ABOUT THIS TYPE OF PROBLEM AND ADMITTED THAT IT WOULD BE ALMOST IMPOSSIBLE TO RECTIFY THE SITUATION.